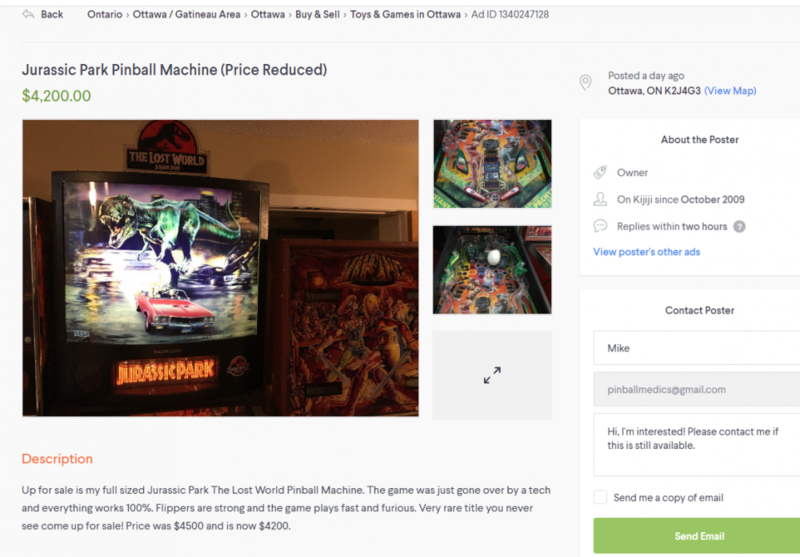 Ottawa Kijiji Pinball Fraud Scam. It has been brought to our attention that an individual or individuals using multiple aliases are posting pinball machine for sale and wanted ads under the user name “Pinball Medics” from Ottawa on Kijiji. 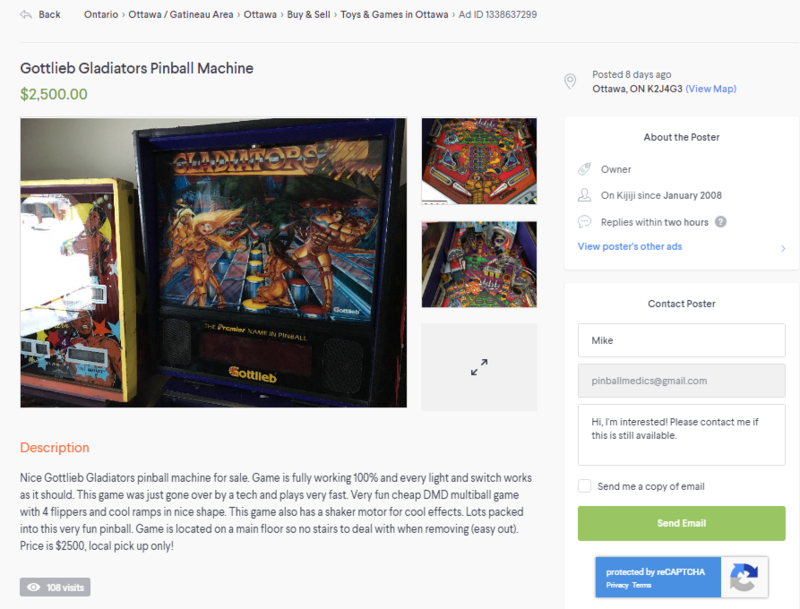 As a result of our investigation so far, among other things, it has been reported to us by a number of individuals that it has been asserted to them that we are selling games through third parties on Kijiji, as well as misrepresenting the condition of our games. 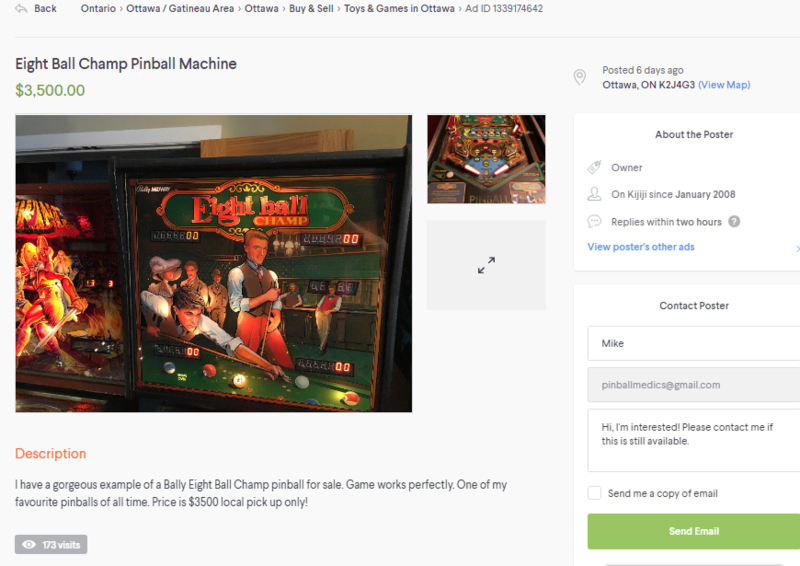 Our games are available to play every day at 2559 Baseline Road at the Ottawa Pinball Arcade from 11 am to midnight and stand as an example of the standards we maintain. We have since been contacted by the distraught owner of the two accounts in question, and he reports that he believes both his accounts were hijacked by unknown parties at an unknown time. 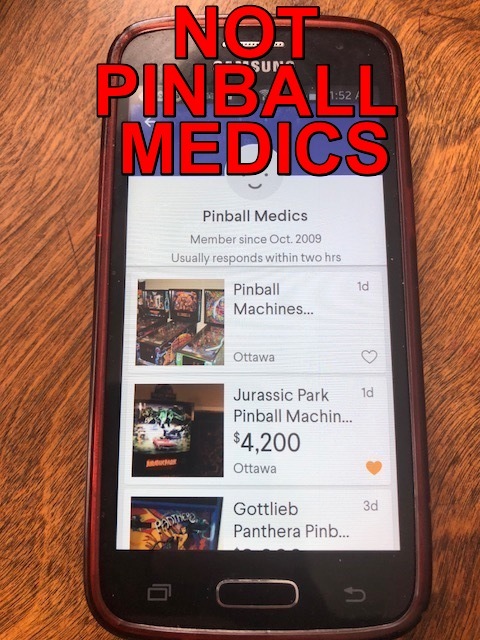 He has removed all the ads from both his accounts, and has corrected his user name to not be “Pinball Medics”, and agreed to assist in the Police Investigation of this matter. We are continuing to receive new information and will make it available once it has been disseminated to the authorities. 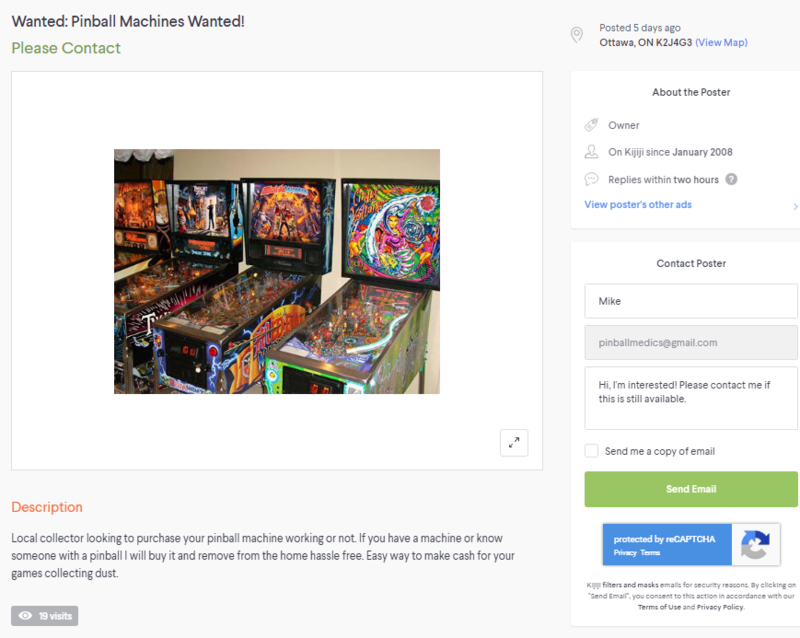 If you have any information regarding these or any other ads claiming to be Pinball Medics, please contact Mike Loftus at 613-223-6108, or by email at pinballmedics@gmail.com. Even anonymous email tips may be helpful if they direct us to the party or parties responsible, and I will personally follow up on any information provided and report it to the authorities myself. We will update this post as new information becomes available. 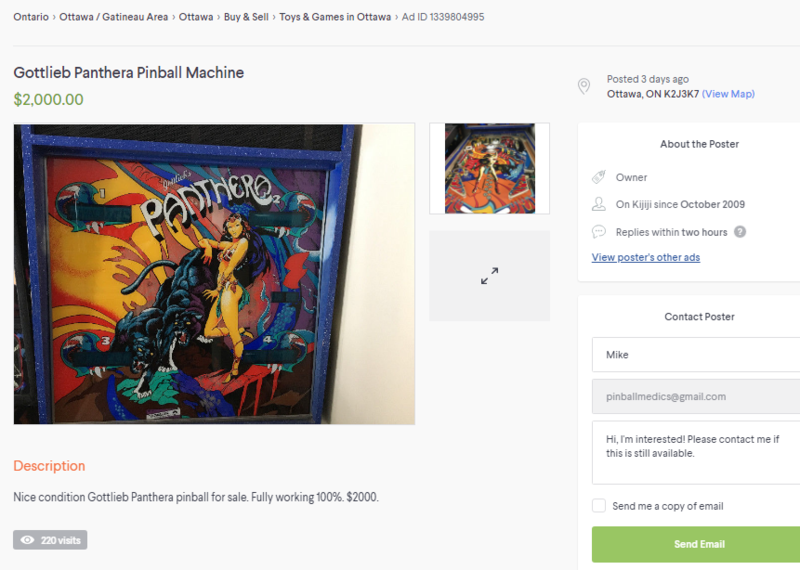 “Pinball Medics” is a trade name of Lantus Enterprises Inc. a Federally Incorporated company located in Ottawa, Ontario, Canada. 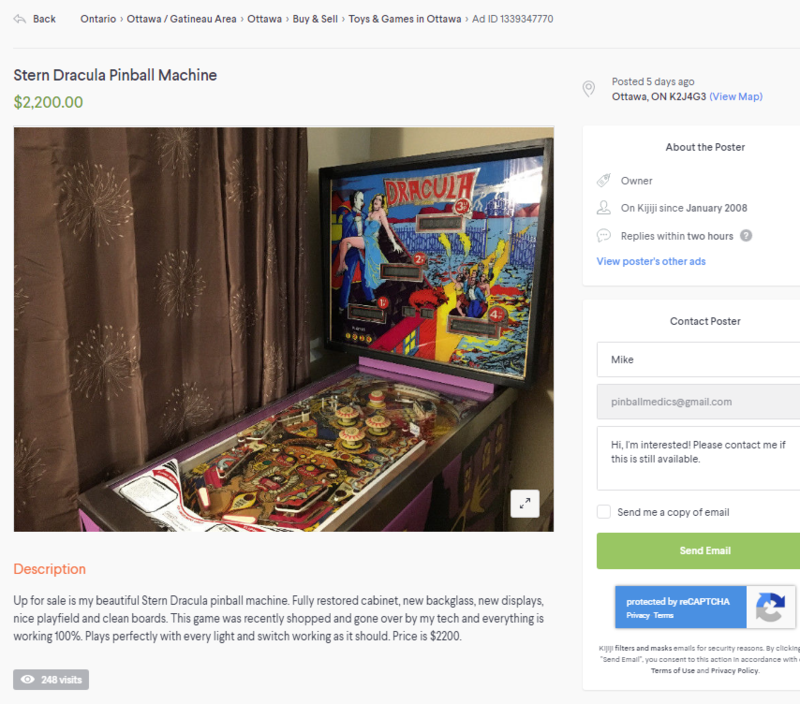 The following screenshots are some of the ads that were identified as being sold by Username: Pinball Medics.